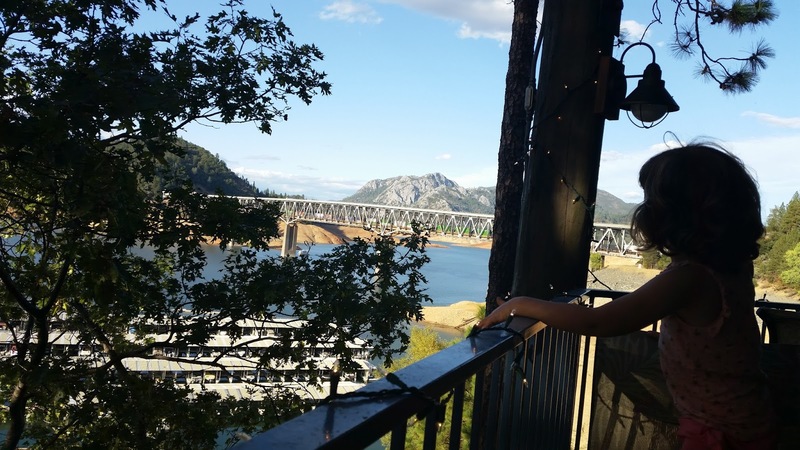 Perhaps you've noticed Shasta Lake on a drive up the I-5 freeway, about three-fourths of the way to the Oregon border. There's a bridge that crosses over it, and the man-made lake spreads out like wings or fingers on either side of the bridge, the water a deep dark blue. Once there were four tributaries here--the Sacramento, Pit, and McCloud Rivers, plus Squaw Creek--but the dam turned this area into a reservoir for California's agriculture. These days the water is low and a red earthen belt shows between the tree line and the water's surface. The missing water is the elephant in the room--where is it? Evaporated? Drunk? Spilled on lawns and golf courses? Until I came up here for a long weekend, I didn't think much about Shasta Lake. If the drought didn't mean much before, except warnings through social media, then here is where you can really see the level for some of California's diminishing water supply. According to some of the locals I spoke with, the water level shouldn't deter you from coming here. It's true--with low water levels, you can get on a boat and see rarely-exposed Southern Pacific railroad tunnels and mining towns, like Kennett which appears when the water level falls 150 feet below the dam. You can sift for crystals and fossils. 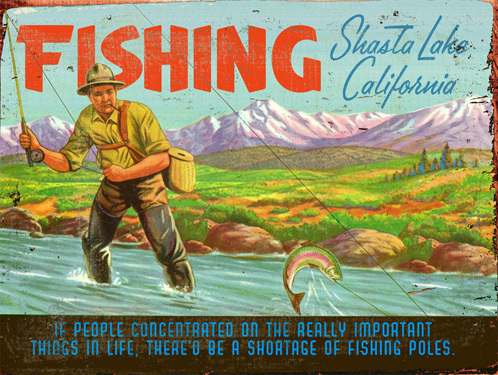 You can fish. You can hike, swim, and go inside a mountain. There's gold in the creeks. 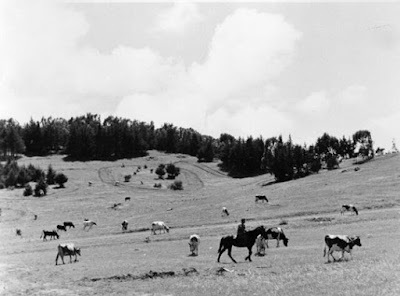 There's a Chinese mining camp, and evidence of the indigenous people, the Wintu. There are fossils of prehistoric insects, coral, leaves, and critters. There are beaches and waterfalls.The locals who chatted me up seemed certain that eventually the water level will rise again. 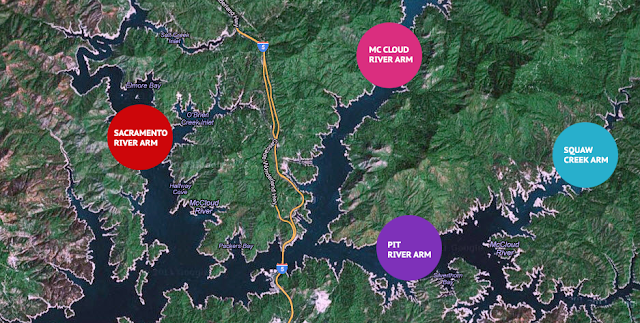 The unique geology of the hills around Shasta Lake come from a Devonian Age coral reef, 360 to 400 million years ago. The reef was slowly conveyor belted along on a tectonic plate that smashed into the heavier North American plate, pushing up mountains of limestone. Once the water receded, deep fissures between the mountains became pathways for three great rivers. 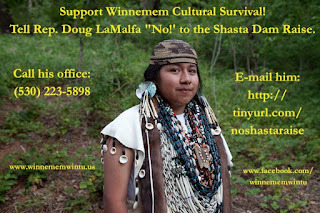 Fast forward to the time of humans, when the Winnemem Wintu, the Middle Water People, lived here. Their homelands centered around Mount Shasta and the McCloud River, but their tribes went as far south as the San Francisco Bay. In the 19th Century, miners from around the world flocked to this area, excavating veins of gold, silver, and copper, and built towns along the tributaries. One town, Baird, cultivated salmon sustainability with its federally funded Baird Fish Hatchery, where they collected millions of salmon eggs to keep the river stocked. Shasta Dam was built between 1938 to 1945. 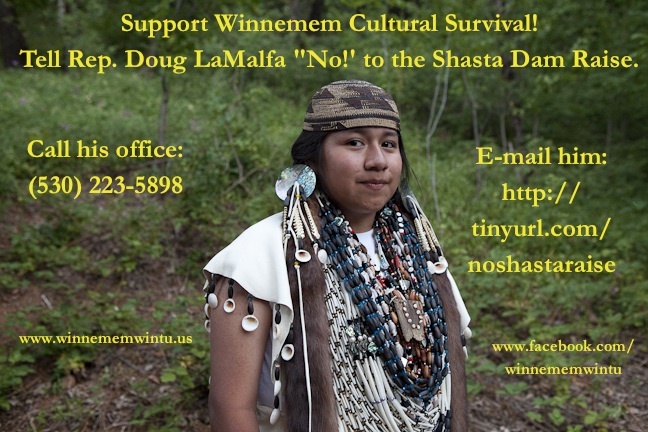 Engineers claimed it would take a decade to fill the valleys, but in one year the water submerged sixteen mining towns, and ninety percent of Wintu land and sacred sites (see here). We saw osprey flying, and their huge nests on the tops of electric transmission towers, and plenty of turkey vultures. At night, sitting on the deck of the Bridge Bay Cookhouse, come brown bats appeared at dusk. 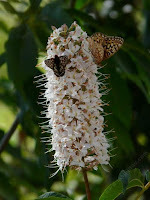 If you toss a tiny pebble in the air, they dive for it, their already erratic bug-catching flight patterns a zigzag of butterfly-like movements. Squirrels chittered around the trees, delighting our kids. Though we didn’t see the following, this area is home to black bears, black tail deer, bobcats or mountain lions, jackrabbits, red-tail fox, skunks, bald eagles, golden eagles, blue heron, quail and a whole lot more. 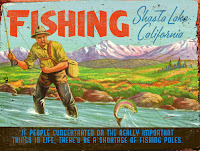 From all accounts, there are a lot of fish in Shasta Lake, and this is a fisherman's paradise. One local told me he could catch thirty to forty trout in a few hours--all different kinds too: rainbow, brown, you name it. He described three types of bass: large mouth, small, and spotted. Crappie. He talked about a mythical twenty foot long sturgeon (but apparently the record states the longest is 7 feet, from 1977). 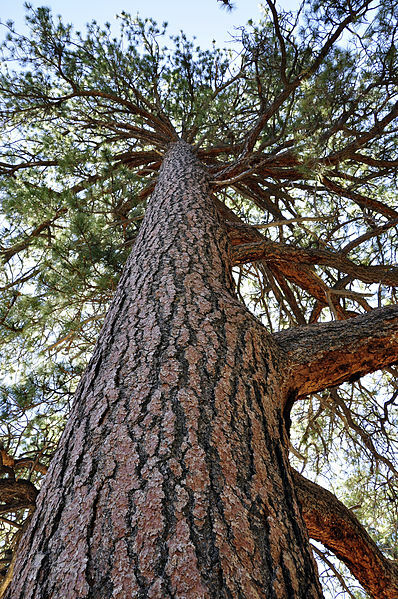 Ponderosa pine seems to be the dominant tree, and it has noticeable bark: fragrant, fissured, and thick horny plates like a turtle’s shell. “Three dimensional,” said Mike, the silver-bearded bus driver at Shasta Caverns. Black Oak is also prevalent. Mike continued describing plants as he drove the shuttle towards the caverns. He said about poison oak leaves: “See three, leave it be,” and “If it’s shiny, watch your hiney.” Some of poison oak’s green, slick, tri-lobed leaves were turning red, which happens as the plant dries out to conserve water, and the year progresses towards fall. 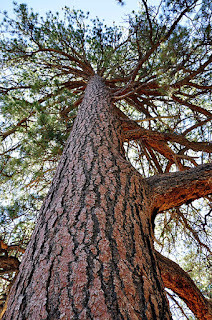 We passed low trees of mazanita, with its stiff, coin-like leaves, and more noticeable, the smooth patches of bark that look like dark maple syrup dripped over the branches. Mike told us about the Wintu’s use of it as a tea, using leaves and bark. Apparently the concoction closes your pores, and helps in relieving dermatological issues, even preventing poison oak. And if you did have a wicked rash, a salve made of Manzanita can clear it in one to two days. “You can find bottles of it at health food stores,” Mike told us, “called Manzanita Magic.” Sure enough, later I found it for sale online. Literally staying on the lake in a boat seems like a great option, but not for me, not yet with two year old twins. I hate to admit that I don't want to camp with them either--I've done it and it is so much work, it doesn't feel like a vacation. The best option for my young family of five is a cabin-like setting, with a kitchen. We stayed at Bridge Bay at Shasta Lake in one of their Kitchen Units. It was just right for our weekend: spacious, a big bed, a fold-out futon, a kitchen with all the kitchen tools, an outdoor BBQ area with our own picnic table, and we were situated right above the swimming pool. Bridge Bay has four other types of rooms, running the gamut from motel-style to the large Kitchen Super Suite, that accommodates two families and saves you a little more money. Safeway in Redding is a 15 minute drive from Bridge Bay, so that's another eating option. Think of going to Shasta Lake like you were going camping, and your expectations will be exceeded. These caverns have to be one of the star attractions to the area, but when we visited, the gift shop was kind of like a ghost town, the rush of summer over. If you're driving north on 5 from Bridge Bay at Shasta Lake, exit on O’Brien/Shasta Caverns Road. The narrow road winds downhill, Manzanita growing on the soft shoulders, the hill steep and tree covered. Turkey vultures soared overhead. You buy tickets at the gift shop, and they are not cheap—tots under two, and babies are free, otherwise tickets for kids cost $14 each, and adults $24. Still, the tour included a ferryboat to the other side of the water, a bus chugging 1.5 miles up a mountain road, to 800 feet of elevation, the lake like blue silk between the trees in the distance. And the climax: an hour-long tour in an underground labyrinth, glittering with crystals and festooned with stalagmites. Our bus puttered up a steep road with no guard rails, the driver chuckling about anyone afraid of heights not peering out the right-side windows. 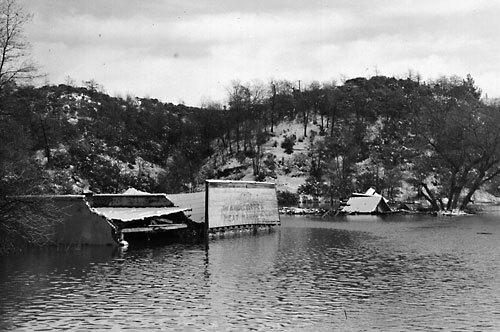 Remember the mining towns submerged by the water behind Shasta Dam? Mike pointed out Baird would be in the water below and behind us. In 1877 one of the Baird Hatchery’s employees was hiking around the mountain above town when he discovered some caves, later named Shasta Caverns. You spend about 45-minutes inside a labyrinth of caves, going through rooms glittering with crystals, ceilings hung with stalactites, and spiky-floored with stalagmites. It's absolutely beautiful. However, one of my twins freaked out and had the tantrum of her life inside. We were stuck with the group, and the tour continued on as my kid screamed and cried and bit her dad who was carrying her. So maybe think twice about this tour if you have a toddler. I think a two-and-a-half year old is cognizant enough about self-preservation to get scared by a tunnel, but not knowledgeable enough to know the sunshine is just down the corridor. After the tour and back at the starting point, Shasta Caverns gift shop, I discovered the store was pretty cool with a natural history focus. I bought my daughter her first slingshot, wood carved like a stag, and a $5 sack of rocks that she filled herself from a box of crystals, including rose quartz the size of a man’s thumb. The Shasta Caverns Playground was impressive too—replete with a crooked log cabin, climbing tunnels, and a water sluice where kids can pan for tiny iridescent crystals—calcite, peridot, obsidian and amethyst to name a few—to take home. Picnic tables are arranged in an oak-shaded lawn area. This hike is basically the 2 mile flat trail along the perimeter of a little peninsula just below Bailey Cove. To get there, you take the same exit off 5 that you would for the Shasta Caverns, O’Brien/Shasta Caverns Road. You drive down the single lane road until you see a pull off for Bailey Cove, and park in the parking lot nearest the water, where you'll find the trailhead. The one drawback to this hike is the narrow trail coupled with low water levels, because if you have any sense of vertigo, the steep drop-off might trigger it. I wanted my twins to stay in their double stroller, and that made walking a hell of a lot less fun. However, slightly older children, like my five-year-old, loved it. She could've gone around the whole peninsula, but since her parents turned around a quarter mile into the hike, sweaty and tired from navigating a heavy stroller over root clumps and between poison oak, she turned around too. A long weekend was not enough time for exploring Shasta Lake, though two days was a great introduction. I plan to return, and also look forward to when my children are older and more independent so I'll feel confident about overnighting on a houseboat. 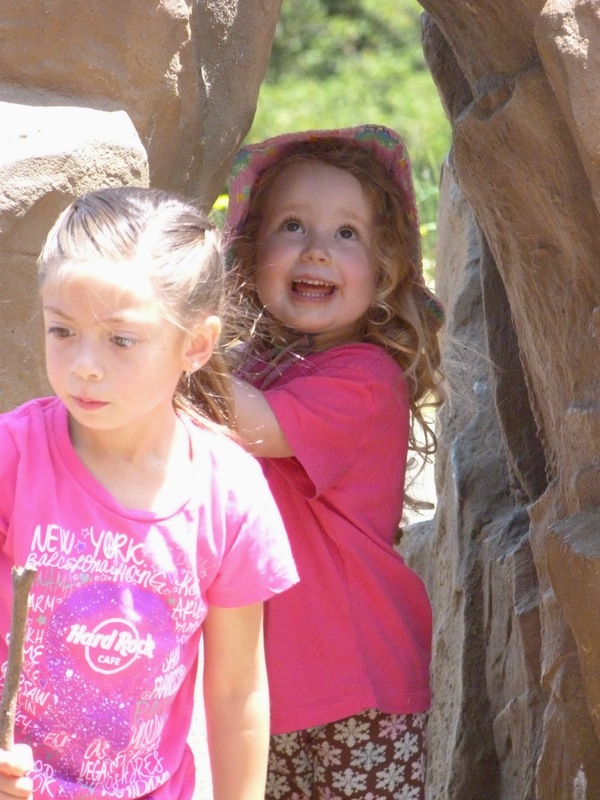 I recommend this area for people with kids, and if you have two year old twins, getting a room like I did, next to a pool and a restaurant, right on the lake, near to the Caverns and easy hiking, is a good way to go. This is to be determined based on the strollers. If you bring one, I'll make the walk stroller friendly. If nobody has a stroller, we'll walk on dirt trails. McLaren Park is hilly, and we will be going up and downhill, so wear appropriate shoes. 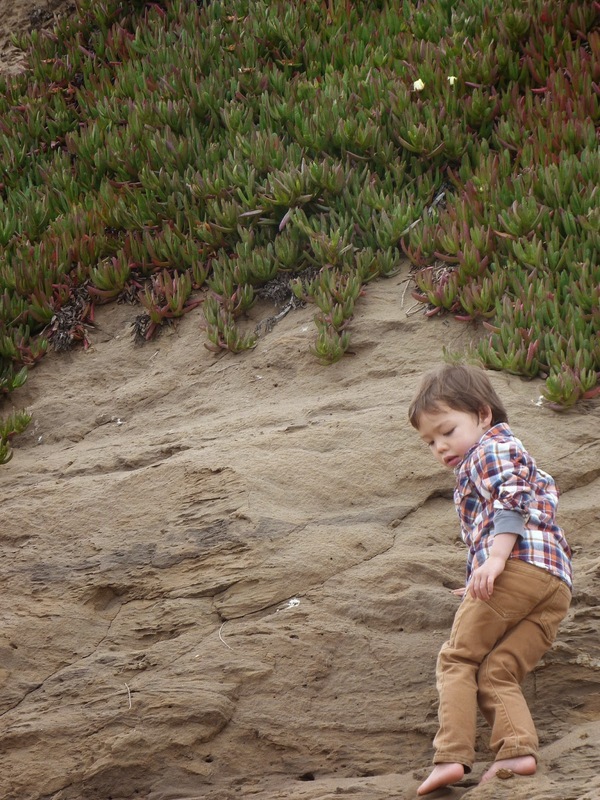 There is so much to explore in McLaren Park, an hour doesn't give it justice, but it's perfect for walking with kids. I like pools and ponds, so there's a good chance we will circle McNab Lake or the Upper Reservoir. We will look for coots, ducks, egrets, and turtles. Everyone likes views, so chances are, we might end up at the Blue Water Tower, with it's 270 degree view, or the McLaren Park Observation Tower, both places that are great for finding raptors soaring overhead. Everywhere we will find coyote brush, sticky monkey flower, and Monterey Pines. What I won't do, please note, which is to hang out at any of the playgrounds, as that would zap our time. You're totally welcome to hang out, come and go as you please. We'll stop for 1-2 snack breaks along the trail. Please arrive by 9:45 so we can begin the walk at 10. An hour will pass quickly, considering most kids will need a short break or two (so please pack water and lots of snacks for your family). Hope to see you and yours on October 10th! Once destined to be a shipping terminal but now a protected salt marsh, Heron's Head is an intriguing place to explore. As you walk down the long, narrow man-made peninsula of Heron's Head, you're confronted with remarkable contrasts. There's industry on one side--for what its worth, along with hundreds of seagulls, massive ships and crusty, rusty warehouses--while on your other side lies a glassy, bird-filled salt marsh. And at the tip of the heron's head you face east, where Oakland lies across the choppy bay and Mount Diablo rises, purple and jagged, on the horizon. You got birds, you got seals, you got boats. Its quiet and noisy, and cool and strange in that way where industrialization contends with nature. Our route is completely flat, and maybe 1.5 to 2 miles long if you include India Basin. It is stroller friendly, though there are some packed dirt trails. Please no dogs, because Heron's Head is a bird sanctuary. I hope to have a picnic at India Basin Playground. I recommend bringing a picnic blanket, food, and water. The whole things should be 2 to 3 hours. There are port-o-potties at Heron's Head, and nothing but swings, structures, and a view at the playground. Come because it's fun, free, and your kids will love running around in the sun, checking out new things. 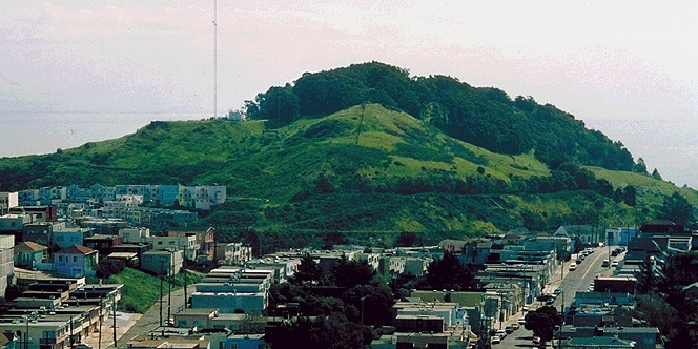 Ever wondered about that wild looking hill beside Candlestick Park as you drive into or out of San Francisco on the 101? You know the one. Maybe not by name--Bayview Hill Park--but you've seen the eucalyptus groves, the big craggy rocks, at least peripherally as you travel north or south. Bayview Hill is a forty-seven acre park and natural resource area. Not only is the place rife with birds, especially raptors, the last stands of the native Islais cherry, a food source for the Ohlone people, grow here, and there's been sightings of the endangered Mission Blue butterfly. Manmade things of note include WPA walls built in the 1930s, and an Art Deco radio building from 1934. How can one not be curious of such an AWESOME sounding place? Bayview Hill is perhaps surprisingly a great place to walk with kids and strollers: an old road that's closed to cars leads from Key Avenue to the top of the hill, where another road circles the apex. Total mileage is 1.5, more or less. The initial road is steep, but two-and-a-half year olds, or three year olds, manage it fine. This is great place to bring your strollers. If in doubt, bring it. The views on a clear day show you every geographical feature in the area, and beyond: McLaren Park, the San Francisco Bay, San Bruno Mountain, Mount Diablo, and San Francisco, looking north. With a picnic lunch up top, and rests whenever you need it, you go at your pace--there's nothing organized about this beyond a chance to walk with other families at a certain time, with aspirations for a group picnic somewhere. Pregnant people and babies welcome! Calling this a "hike" is kind of a misnomer. It's a stroll, a ramble, a jaunt, a slow walk. Three year olds rule the day. Plan about three hours, but come and go as you please. Meet between 9:45 and 10:00 AM at the gated eastern end of Key Avenue (cross street is Jennings). The closest house to our meeting place is 938 Key Avenue( 94124). Parking is a challenge in this residential cul-de-sac, so you might take the first space you can a block away. We start walking at 10:15. If I get a text message--my cell is (415) 577-7934--that you're running late, I can stall til 10:20 or so. :-) If you're very late don't worry, just head uphill on foot. There's no way to get lost on one road. Picnic somewhere on the southern or western side of the hilltop. Bring your food and water. 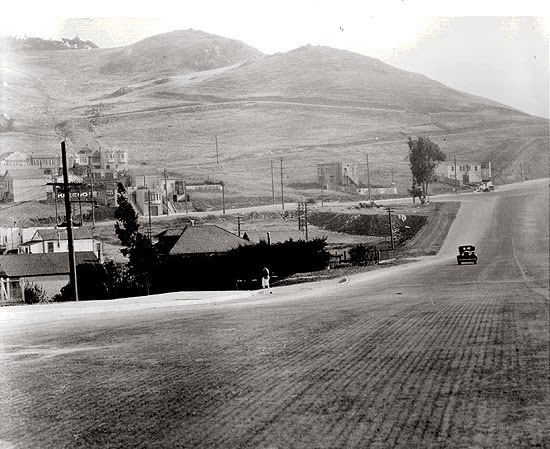 Bayview in the 20s. From Found SF.org. Hope you can join the fun, and feel welcome to bring others, or spread the word. The more, the merrier! It was late spring when a group of us--many new faces, too--showed up at Junipero Serra Park, an easy to miss natural area west of 280 and south of Serramonte Mall, ten minutes from San Francisco. We walked about a mile and half in the 108-acre park, circling and rising high into the park on Quail Loop Trail, mostly walking under coast live oaks. Our picnic was at the Upper Meadow Playground, then we meandered downhill, resting at the base of the park where El Zanjon Creek flows. Southbound on 280: Exit Crystal Springs Road, staying in the right lane. Right on Crystal Springs Road, continue half mile or so to parking lot on left side. Northbound on 280: Exit San Bruno Ave, go under freeway, turn left to go on 280 southbound. Follow directions, above -- whew! The group of us--some regulars to these Hill Babies group hikes, others new--met up on the cliffs above Fort Funston in San Francisco, June 15, 2014. 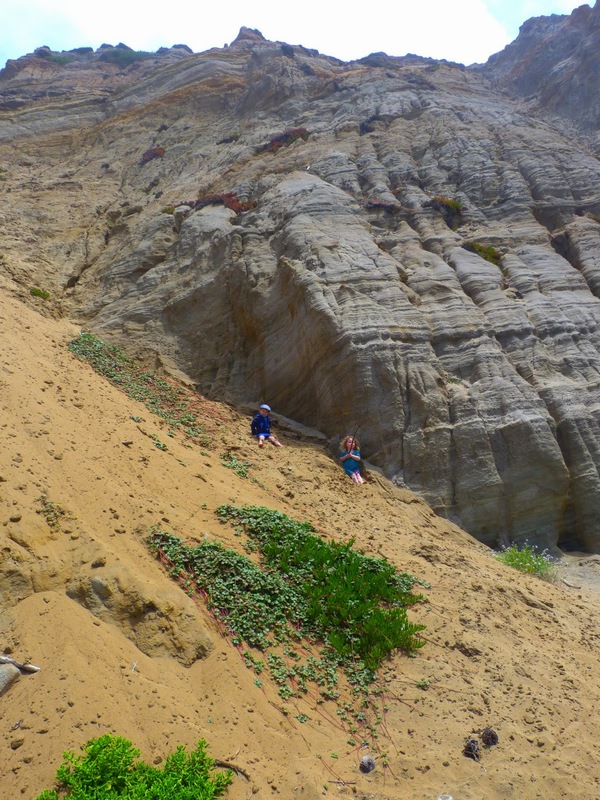 We took the Step Ladder Trail to Ocean Beach, passing under hang gliders and faint clouds, and picnicked on the sand. Some left after playing and eating, but a group of us continued on to complete the Low Tide Loop. The water licked at our heels, the tide coming in, kids screeching with happiness, giddy at the constant motion of water and wind. Dogs leapt through the surf, chasing birds and balls. Babies laughed, kids clambered up sand slopes, and parents just enjoyed being outside on one great day with no real agenda but wandering around. 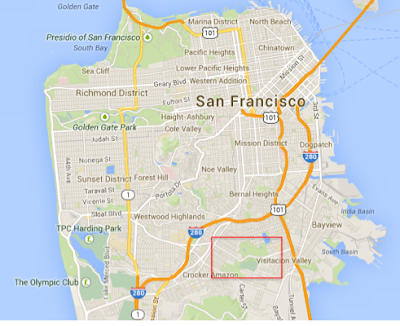 September 27, 2014 Hike: McLaren Park and Charity and the Jam Band! This hike begins at the Louis Sutter Roundhouse playground in McLaren Park, and ends at the Jerry Garcia Amphitheater. We are soooo lucky that there's a FREE concert, and Charity and the Jam Band are playing! It's a high energy band that plays "people's music" that kids LOVE--see their website here. What more could you ask for? Sunshine, a walk with your loved ones, new friends, and live music! See you on the 27th! Meet between 10:30-11 am at the Louis Sutter Playground alongside McNab Lake (near University and Woolsey Streets in the Portola neighborhood). There are bathrooms and drinking water, and two parking lots. Hike begins at 11:30. We'll begin by circling McNab Lake, keeping an observant eye out for coots, ducks, turtles, and little fish. Maybe we'll see an egret or heron. 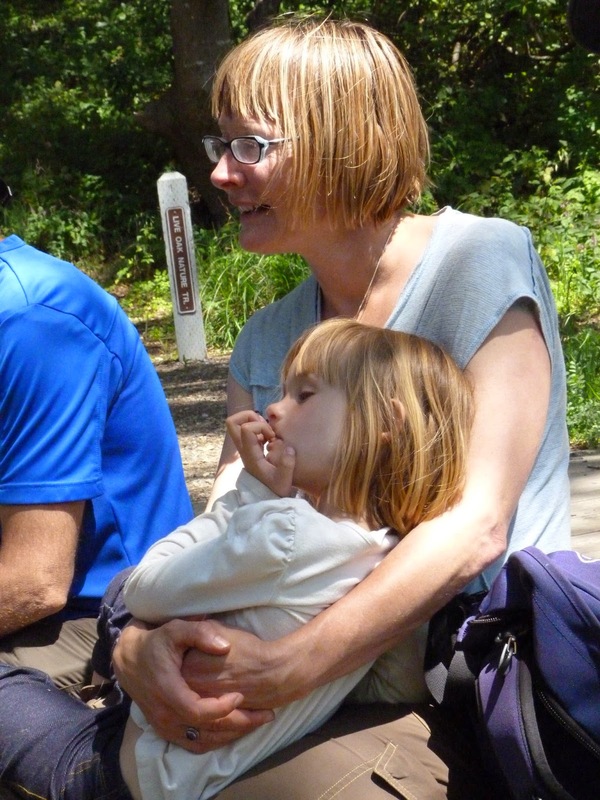 Then we will go uphill on a single-track dirt trail, suitable for all ages of walkers, or single-size off-road strollers. At the top of the hill, we can eat a leisurely lunch and enjoy the view. Bring picnic food and water. Time permitting, we'll cross Mansell Avenue to the McLaren Park Observation Tower OR we explore the single-track trails above the Jerry Garcia Amphitheater, looking for hawks and scrub jays as we walk past the coyote brush and under the Monterey pines. Arrive at the Charity and the JamBand Show by 1:00. The show, located at the Jerry Garcia Amphitheater, is free and fun. You'll find bathrooms, water, and kiosks with snacks for sale. Leave when you want. The group part of the hike basically ends at the Jerry Garcia Amphitheater, as some folks will want to stay and boogie down, and some may want to wander on. Regarding dogs, if you have one -- Please consider the group's comfort level and the fact that some children are nervous around dogs, especially high energy and medium-large sized ones. Absolutely friendly dogs are welcome, but please predict your dog's behavior around a group of hyper kids before you grab that leash. Thanks! Via car to the Jerry Garcia Amphitheater: This amphitheater is located off of John F. Shelly Drive in McLaren Park. There is a free parking lot, but you can park along John F. Shelley Drive too. The 54 Felton will take you near Louis Sutter Playground along University. The 29 Sunset drives through McLaren Park on Mansell, a short distance above both the Louis Sutter Playground and the Jerry Garcia Amphitheater. The 52 Excelsior stops a couple blocks from the west border of the park, at Persia and Russia.